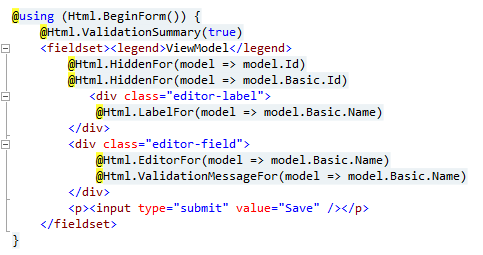 This will be the first of three posts on Data Annotation validation in Web Forms in Visual Studio 2012. In the first one, I’ll talk about what I like (and what I don’t) in the new release, and in the following two I’ll show two alternative solutions to dealing with the frustration I’ve started to feel over what is either a missing feature or very-hard-to-find documentation. First off: I love Data Annotation validation. I’ve mentioned it in a number of posts and I really like being able to annotate my classes so that the validation rules travel around with the class. I always hoped and expected that Microsoft would provide Data Annotation validation in the new release of Web Forms, given that it’s already in WPF, Silverlight and MVC. I was also hoping that Microsoft would give us unobtrusive client-side validation. The Good News: they have. The Bad News: they don’t seem to have done both together. (Or at least, if they have, I can’t find any documentation on it. There are LOTS of articles out there talking about the new Data Annotation validation and also about the new unobtrusive client-side validation–but when they refer to Data Annotation validation, they are talking about server side validation, and when they talk about unobtrusive validation they’re talking about the existing property-based validators. I’ll be delighted (and grateful) if anyone out there can point me at any documentation that shows Microsoft has implemented client side Data Annotation validation in Web Forms as they did in MVC–in which case my own experiments in that direction, to be detailed over the next two posts, will have been merely a fun coding excursion and not actually necessary). So, back to the good news. I should have validation, too. And I do. But sadly, only on the server side. The page does a full round trip before showing the error messages. So I looked all over to see how I could turn on client side validation… and just couldn’t find it. In the end, I decided it was going to take me less time to write my own version than to find Microsoft’s implementation (if any). So I did so… twice. And in the next couple of posts I’ll look at two different ways of providing client-side Web Form validation using Data Annotations. 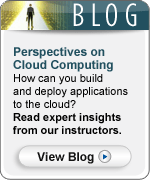 For related course information, check out Learning Tree’s course, Building Web Applications with ASP.NET and Ajax. I’ve written before about the peculiarities of ASP.NET MVC validation. It’s a great technology 90% of the time, but can cause issues if you do something a little out of the ordinary. I came across another one of these unusual circumstances recently when I was testing my development version of CocktailsRUs. I was running through the site checking that upgrading to the latest version of jQuery Mobile hadn’t broken anything when I noticed something interesting – on one page, the validation ran but nothing visual happened to show that it had done so. The validation worked – the page did not submit – but there was nothing to tell the user what had happened. It turned out there were two issues. One was a twist on the ASP.NET MVC validation issues I mentioned in that earlier post. The other was specific to jQuery Mobile. So I had two problems, not one: the highlighting wasn’t working in the mobile version, and the message wasn’t working in either. Time to do a little digging…. The element and the validation attributes have been hard-coded to get around ASP.NET MVC’s problems with validation and repeating forms. Those problems stem from the fact that ASP.NET MVC uses IDs instead of name attributes to hook up validation. This time, however, the problem is that when it comes to displaying the result of the validation, it DOES use name attributes – and you’ll notice that in the code sample above, the “name” does not match the (case-sensitive) “Name” model property in the ValidationMessageFor() method. So what’s going on with the search element in jQuery Mobile? We have a working label, but the input itself doesn’t have the usual CSS look and feel to highlight the error. In this case, the problem lies in the way that jQuery Mobile creates the search box. It turns out that that the “search” input is being converted to a text input, given a wrapping div and (unsurprisingly) all sorts of CSS decoration. The upshot is that the standard MVC CSS validation classes can’t compete and are overridden. So – back to coding… until the next interesting little niggle comes along.